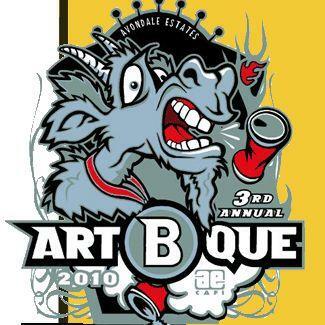 Avondale Estates is hosting the third-annual ArtBQue this weekend, with 100 local artists showcasing wares in virtually every medium, including intriguingly dark paintings by Massive Burn Studios, pieced-together wallets from 100% Cool Efi Designs, and eclectic metal sculpture assemblages from Jim Shores. There're also food vendors including Farm Burger and Smoker and the Bandit, a car show/contest ("Best Engine", "Best Paint", and..."Other"? ), and 30 bands including Warm in the Wake, Gringo Star, and El Caminos, who're also strong contenders for that "Other" category.